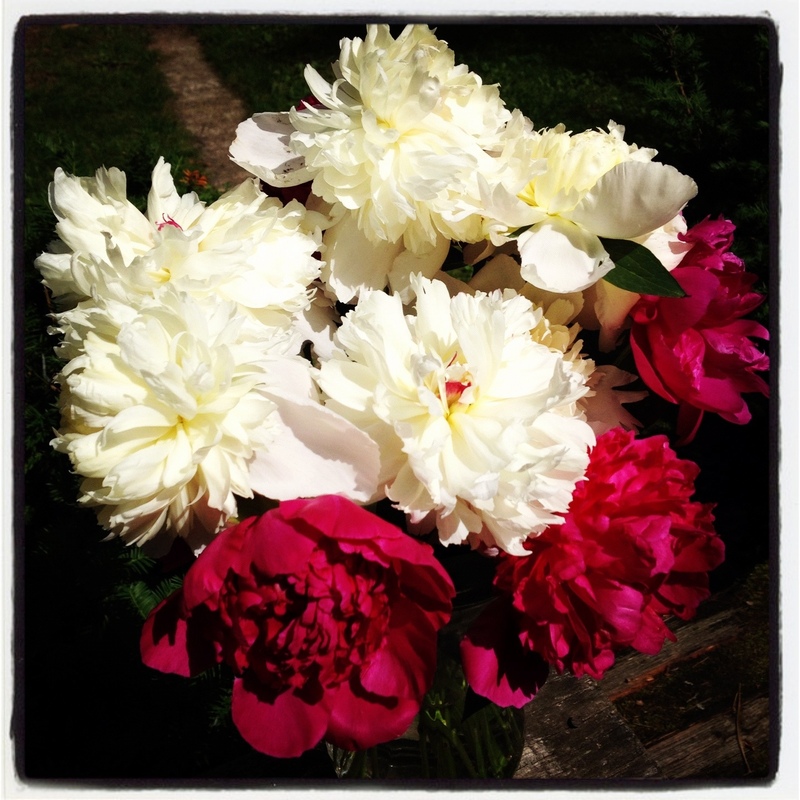 I wanted to take a moment and share these gorgeous peonies with you. I discovered them the other day in our garden, bursting and beautiful. They were so full of petals that they became top-heavy and were sagging towards the ground. This just wouldn’t do! I had to cut them (immediately!) and put them in a vase so they could be together, glorious and upright. I love this time of year with all the blooms. After a de-bugging period on the picnic table, these lovely peonies are resting gracefully at the center of our dining room table.